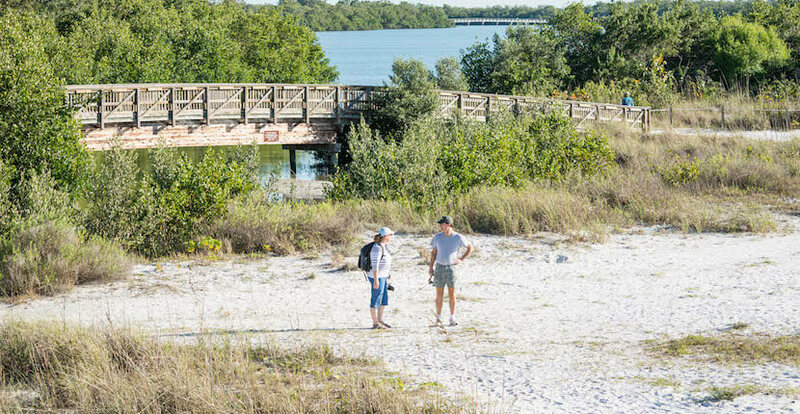 Lovers Keys State Park covers 712 acres and includes tidal lagoons, canals, and four barrier islands. It remains an unspoiled area for many types of birds and wildlife. Manatees, dolphins, coastal birds and even bald eagles can be seen on the islands and in the waters surrounding them. Lovers Key is the main barrier island, with Black Island, Inner Key and Long Key completing the set. Once upon a time, Lovers Key could only be reached by boat. Inevitably this remote area became a popular place for courting couples which is how the beach and island got its name. A road was finally built in 1965, giving vehicular access to the island. 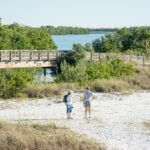 Drive south along Estero Blvd past Fort Myers Beach, leaving the busy shops and ice-cream shops behind, to reach the quiet sands at Lovers Key State Park. The entrance to this beautiful state park and wildlife habitat is about half a mile south after you drive over Big Carlos Pass. On arrival, you pay the entrance fee at the guard house and continue into the parking lot. Park entrance admission fee varies between $2 and $8 depending on the number of occupants and mode of transport. You can access Lovers Key Beach along the boardwalk. Lovers Key has a stunning two–mile long sandy beach which was listed by the Travel Channel in the Top 10 Florida beaches. 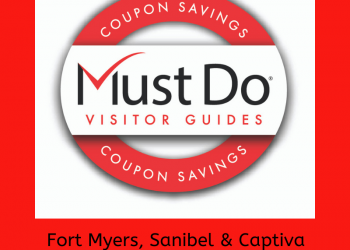 Once you’ve visited, you’ll no doubt agree! After you have picked your spot, you can relax in the sunshine or go swimming in the warm waters of the Gulf of Mexico. 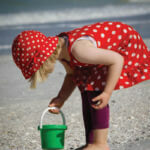 It’s a good place for collecting shells from the water’s edge or enjoying a picnic. No pets are allowed on the beach to avoid disturbing the wildlife. 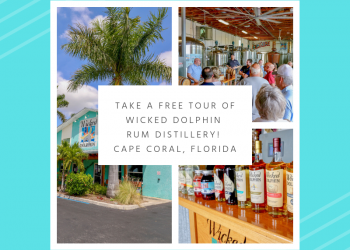 You may be fortunate enough to spot a West Indian manatee feeding on sea grass or see bottlenose dolphins playing in the wake of visiting boats. Marsh rabbits, roseate spoonbills, snowy egrets, American kestrels, warblers, ospreys and bald eagles are some of the rare wildlife that lives in this wildlife haven. For more energetic activities in the park, Black Island has over five miles of trails which are shared by hikers, joggers, and cyclists. Surrounded by greenery, these paths are a wonderful way to explore the area. If you have a boat, you can launch it from the park’s boat ramp, which gives access to Estero Bay and the Gulf of Mexico. Lovers Key Adventures and Events provides an array of rental options including kayak, canoe, pedal boat, Stand-up paddleboards, bikes, beach chairs, and umbrellas. 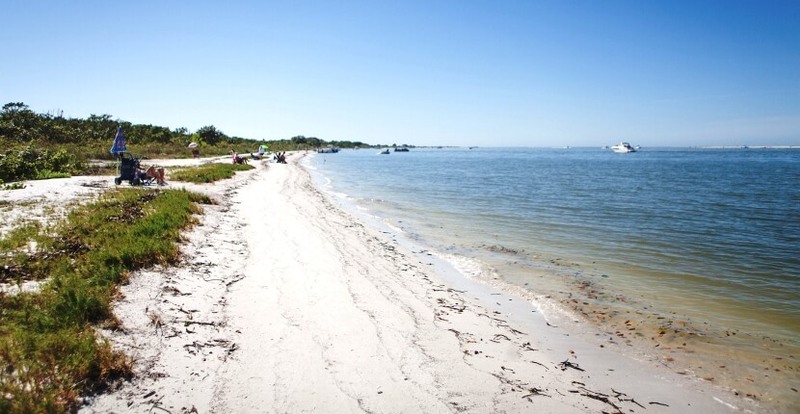 They also offer guided Kayak/Canoe tours both inside the park and to the nearby Calusa Indian site called Mound Key. There is also two playgrounds, restrooms, a gazebo, and several picnic areas. Incidentally, the boat ramp is also a popular spot for local anglers to cast a line. You can even buy bait at the shop near the main park entrance. Fishing enthusiasts regularly catch redfish, tarpon, and trout here. You can also enjoy Lovers Key from the water, as there are several local boat tour companies offering sunset cruises and dolphin tours in this scenic area. 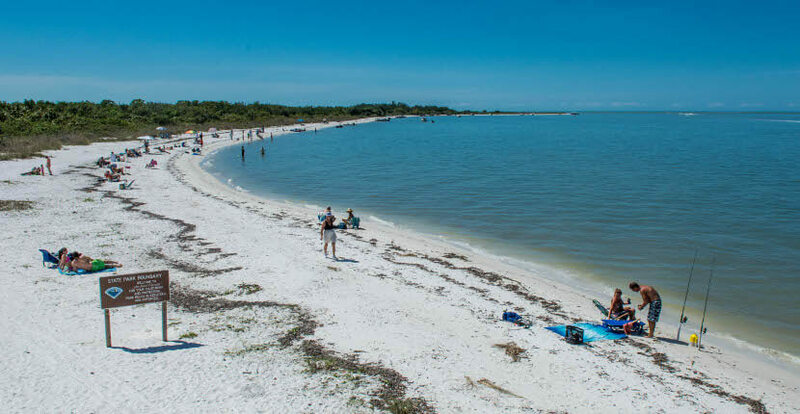 Even if you don’t bring any equipment with you, the state park has concessions providing kayak rentals, bicycles, canoes, paddleboards, beach chairs, and umbrellas, so you don’t need to haul it all with you to and from the beach. 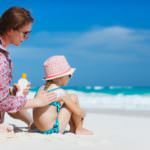 Read our blog article Florida Sunshine Survival Tips. 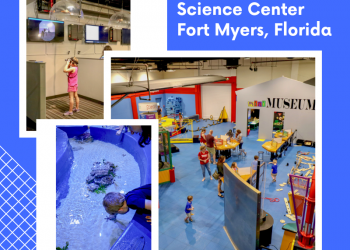 Located on County Road 865 between Fort Myers Beach and Bonita Beach and is accessible via Bonita Beach Road in Bonita Springs or San Carlos Boulevard in Fort Myers. Lovers Key State Park offers plenty of parking.